We had another great Skills Café this week, courtesy of Lana and her helpers from Love Arts. We explored the theme of ‘Home’ and designed our own cardboard mini-homes to be included in a Lakes Alive project in Kendal this Summer. More home building next week! 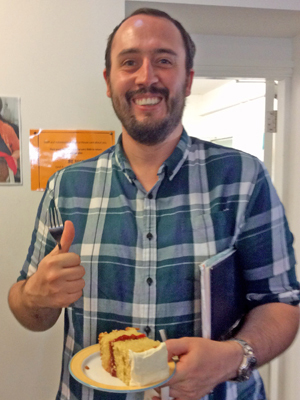 Adam our social worker student finished his placement with us this week so Nela made him a special cake, which got the thumbs up from all of us – not just Adam!